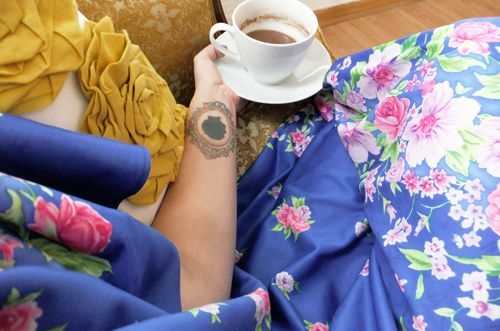 forever sick days are for never getting out of your grandma's nightgown and having continuous cups of hot chocolate waiting on the back burner. i think it's doing the trick. it's amazing what floral printed polyester and a little warm chocolate can do for the soul. great combo, sure to make anyone better! hope you get lots of rest so you can overcome your cold! i'm sick after my birthday tooooooo. :( hope you feel better better best!!! you girls are a good dose of medicine for me.